Looking to answer the question “How do I check tire tread wear?” It’s really very easy to check the tire depth on your car by simply using a ruler or a penny. Learn more from the tire experts at Suntrup Automotive Group. The tread depth of a new tire is generally 10/32 to 11/32 of an inch, or about a third of an inch. Winter tires, off-road tires, and some truck and SUV tires often have even deeper tread grooves. The U.S. Department of Transportation recommends replacing your tires when the tire tread depth gets down to about 2/32 of an inch. Making sure that your tires have the correct tread depth will ensure that you enjoy safe driving in the St. Louis area, and by having your tires routinely rotated, you can even extend the life of your tires. Insert a penny with Lincoln’s head upside down into a tire tread groove. If Lincoln’s head is covered and no longer visible between the grooves, your tread depth is good. If you can see all of Lincoln’s face, it means that the tire tread is 2/32 inches deep or less and it’s time to replace them. Repeat this process on all four tires and in multiple locations on each tire. Inspect for any visible damage to the tread or sidewalls. Check for any tire rot or disintegration. Check to see if the wear is uneven. 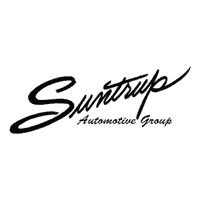 If so you should bring your car into the Suntrup Automotive Group service center near you for a tire rotation or wheel alignment. The certified technicians at your local Suntrup Automotive Group service center can take care of all your vehicle’s scheduled maintenance, including oil changes, tire rotations, and more. Check out our car care tips, and explore our service specials to find money-saving deals on a wide range of vehicle maintenance services. If you have any questions, please feel free to contact us.